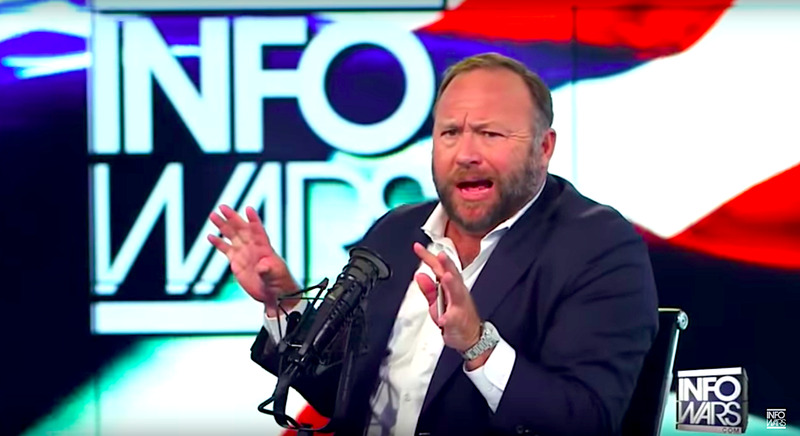 Alex Jones/YouTubeApple and other tech companies banned radio host Alex Jones from their services in recent months. Apple removed Alex Jones’ podcasts and app from its services earlier this year. The decision to remove the material from the conservative talk-show host was related to Apple’s desire to curate apps and other material on behalf of its users, company CEO Tim Cook said in a new interview. Apple’s decision to ban the conservative conspiracy theorist Alex Jones had everything to do with its longstanding belief that it should offer users curated services and nothing to do with either politics or acting in coordination with other tech companies, CEO Tim Cook said on Tuesday. In an interview with Vice News Tonight, Cook declined to get into the specific reason why Apple decided in August to remove Jones’ podcasts from its Podcast app and, a month later, his Infowars app from its app store. But he said the decision came out of the company’s practice of reviewing, selecting, and editing the kinds of apps and other material available through its stores and apps. “What users want from us and what we’ve always provided them is a curated platform,” Cook said. He denied that the decision had anything to do with Apple’s political biases. In the wake of Jones’ ouster, President Donald Trump and other conservative politicians have called for government regulators to scrutinize tech companies for not acting as neutral services. Despite Apple’s ban of Jones, its users can still find material and apps found on its services that come from all over the political spectrum, Cook said. Right after the iPhone maker removed most of Jones’ podcasts from its app, Facebook, Spotify, and YouTube also removed his material from their services. But neither he nor, as far as he knows, has anyone else at Apple talked with any of those other companies about Jones, he said. “​We make our decisions independently and I think that’s important,” Cook said.